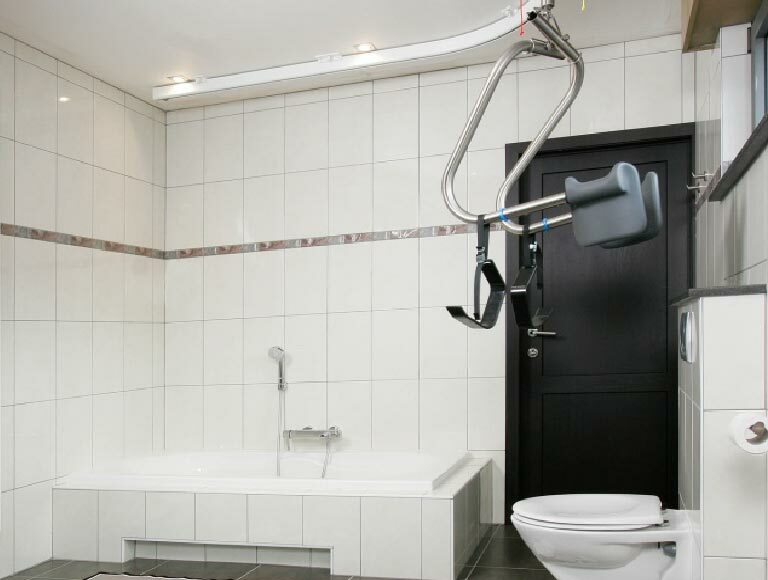 Selling, installing and maintaining lifts for individuals with disabilities or reduced mobility. Covering a wide area (Sherbrooke, Granby, Drummondville, Victoriaville, Thetford Mines, Lac‑Mégantic and more), our team of lift mechanics provides an impeccable, fast and courteous service. Élévaction installs, maintains and repairs a wide range of mobility aid products. Thinking of putting an elevator in your home or business? Give us a call! Having trouble getting around and want to know what solutions are out there? We offer a wide range of mobility aid products. 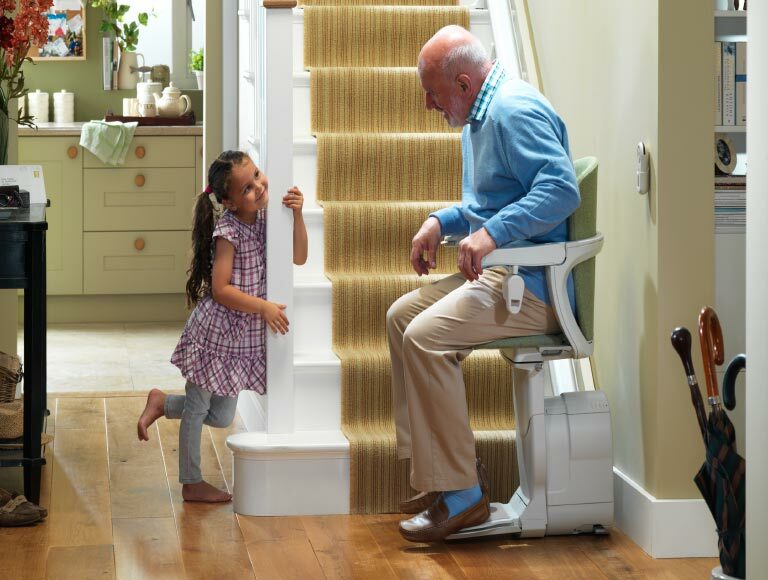 Installing a lift chair, or stairlift, is a simple, affordable and quick solution for going up and down stairs safely. The ultimate solution that takes care of all accessibility problems. 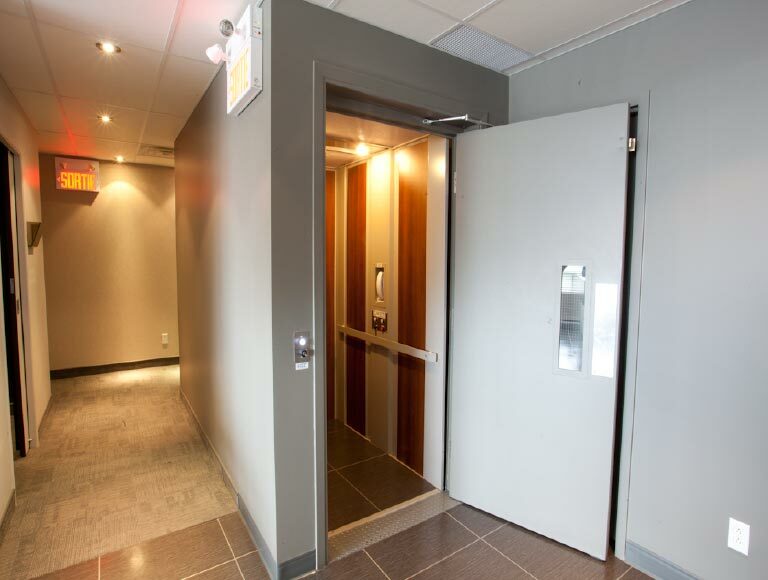 An elevator makes all floors in any type of residential or commercial building accessible. 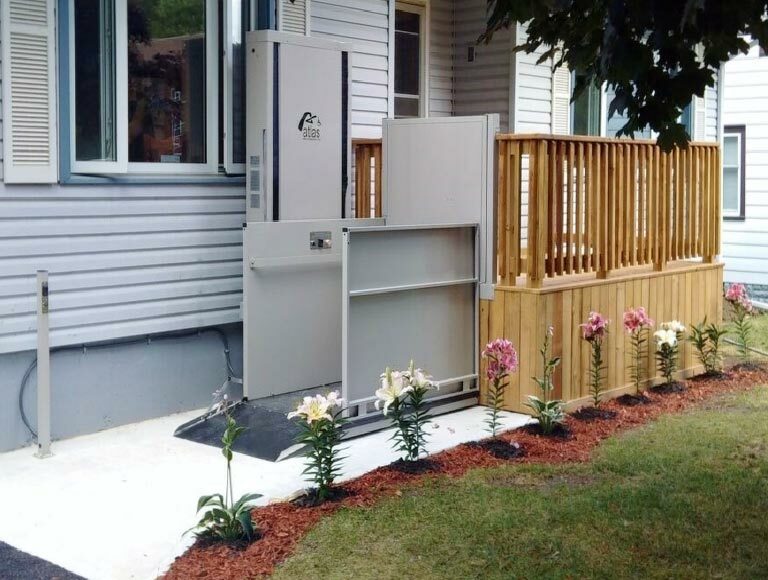 To make a building accessible, an exterior lift is a great option not only in terms of a smaller footprint, but also from a practical perspective. Fixed, mobile or on wheels, our lifts can be used to safely move anyone with limited mobility. We offer a wide variety of models for home or institutional use. 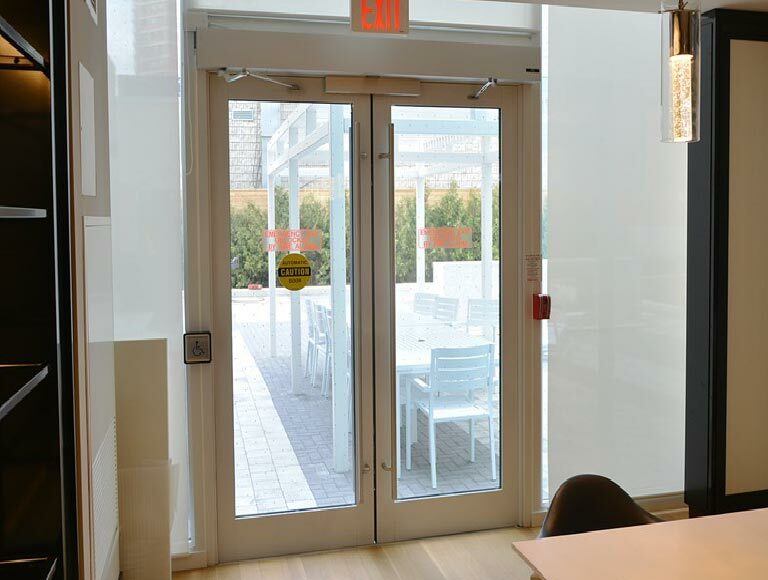 Our wide range of automatic door openers will provide easier access to your business or home. • Curbless showers, and so much more! The backbone of Élévaction is its profoundly human, immensely qualified team with a heart in the right place. An inclusive society! A world where anyone can go anywhere, from their own home to the little corner store down the street. Want to make your business accessible to everyone? This is not only a visible sign of respect towards people with reduced mobility, but also an essential contribution to an inclusive society… And it pays to do it! All our specialized equipment meets commercial standards, and our technicians are all fully certified for legal, safe and compliant installation. Are you a contractor and need a quick quote? Send us your requirements and specifications directly, and you won’t believe how fast you’ll have a response! Get a free, no-obligation quote for your project.